5 How Does An Electric Wall Heater Work? If you want to heat a smaller room in your home without needing to turn on your entire central heating system you may be able to save money by installing an electric wall heater. These electric wall heater reviews will give you some ideas about the kinds of models that you can buy today. There is a great range of styles and designs that you can choose from to ensure that you buy the best one for your home. We have even included an installation and repair guide towards the end of this buying guide so that you can learn how to install and repair a wall heater for yourself. If you have the confidence to do so, there is no reason why you shouldn’t be able to keep up with the maintenance of your appliance to ensure that you can keep it in the best possible condition. We have also included some information to help you find the best electric wall heater for your needs. If you have ever installed any appliance in your home such as a ceiling fan, then it is likely that you’ll have no problem with installing the Stiebel Eltron CK 15E wall mounted heater. It is easy to install so that you can save money, as you won’t need to hire a professional. You will also appreciate how quiet this heater is to run. It has a fan inside it to distribute the warm air around the room, but it operates very quietly so that it doesn’t become an annoyance whilst the heater is on. This is a heater that is surprisingly powerful. Thanks to the fan that distributes the heat, it only takes a couple of minutes for a smaller room to start heating up with this heater. A frost protection mode setting ensures that you can leave this heater on whilst using only the least possible electricity to power it. Although this may not keep your room particularly warm, it can help to keep rooms such as basements warm enough that they don’t develop problems from frost or damp conditions. This setting won’t have much of an impact on your energy bills and you can protect your room and the things inside it. 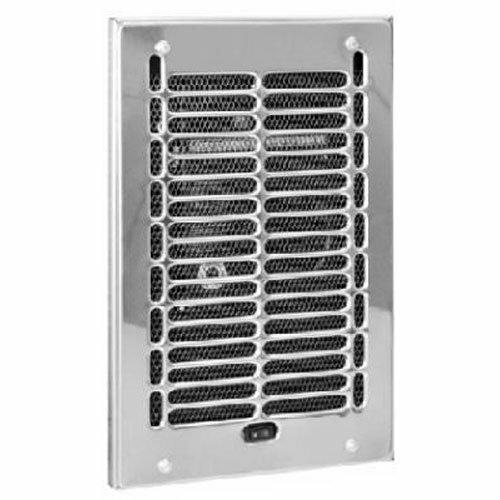 This 1kw wall heater is perfect for smaller rooms and will produce comfortable and steady heat. 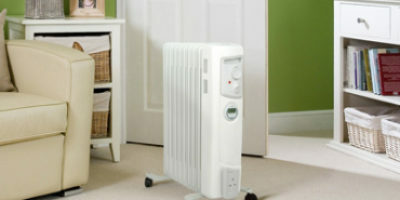 This heater uses a fan to distribute the heat that it creates and it is easy to turn on and off using a simple switch. 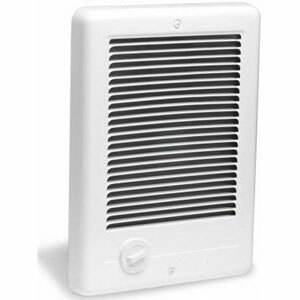 You can use this heater safely in a bathroom or a workshop without worrying about safety. The great thing about this wall heater is that it will fit flush into the wall without protruding out into the room, so you won’t need to sacrifice any space if it is already quite cramped. You will need to purchase the back of the heater separately, however, as this heater includes just the heating element with the grille to go over the front. The box that goes behind the element can be purchased cheaply however if you are installing this heater in a newly built home. 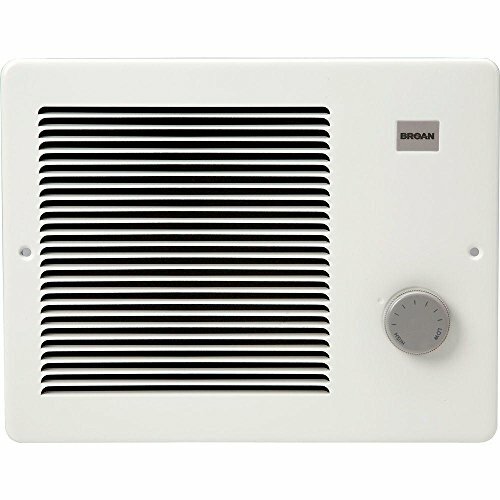 The Broan 9815WH wall heater is a great choice if you want a heater that is effective, safe and easy to control. A set of inlets at the top of the heater draws in cool air from the room and the grilles at the bottom force out hot air with the use of a fan. The fan is quiet when it is in use and is only slightly audible. The heater also comes with a thermostat that ensures that the heater stops generating heat when it detects that the room has reached the desired temperature. This heater is a convenient solution for a smaller room such as a bathroom and will mean that you won’t need to turn on the entire central heating system in the morning when you are getting ready for work or school. You will certainly be able to save money on your electricity bill if you install this heater to provide supplemental heat. The element that is included in this heater is highly efficient and the heater has been designed to convert more electricity into heat so that more heat is produced than most other heaters with the same power usage. The motor is lubricated so that you won’t have to worry about regular maintenance and the heater can be controlled using the thermostat provided or an optional wall-mounted thermostat. 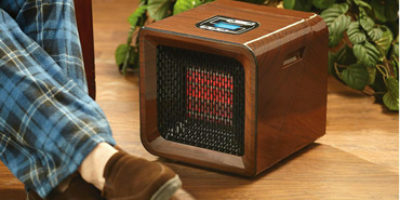 The King PAW2422 comes with a wall can, the interior heater including element and fan and a grille to cover the heater. If you’re looking to upgrade your existing wall heater or if you simply want to add supplementary heating so that you don’t need to use your full central heating system at all times, this wall heater is a powerful and efficient choice. If you wish to change the wattage when you are installing this heater, you will be able to do so at the time of installation. Changing this feature is made simple thanks to a color-coding method. The instructions that come included with this heater are also easy to follow so as long as you are confident enough, there’s no reason why you shouldn’t install it for yourself. Inside the heater, there is a steel finned heating element. This is designed to evenly distribute the heat that is generated by the element and as it is made from steel, you can be sure that it will be long-wearing and reliable. If you have a smaller apartment or a workshop, you may find that this heater is all that you need to heat up your space. If you have a larger home, however, this heater could be used to provide supplemental heating to a room or floor in your home. With a 5-year warranty on the heating element and 2-year warranty on all other parts, you can be sure that this wall heater will last you for a long time. You will be able to enjoy many years of heating from this heater, as it is a reliable and well-built unit. This heater is robust and durable. 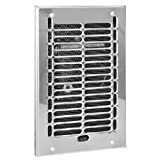 Made from 20-gauge steel, it can withstand many years of use and the design features louvered grilles to ensure that the heat is spread out evenly into the room as it is distributed. An integrated thermostat is included on the front of the heater and this allows you to control the temperature of the heater with ease. You can also install an optional wall mounted thermostat if you wish as this may give you a little more accuracy. As this heater is made of an alloy heating element, you can be sure that it will run at 100% efficiency. All of the electricity that is passed through the element is converted to heat, which is then blown out of the front of the heater and into the room. 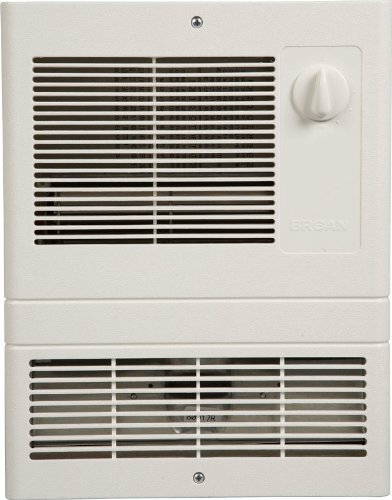 With the Broan 174 heater, you can be sure that maintaining it will not be difficult. You can easily take it apart for cleaning and it comes with full instructions to help you to do this. This will cut down on any dust buildups that may occur in the heater and will result in cleaner smelling the air and a longer lasting appliance. 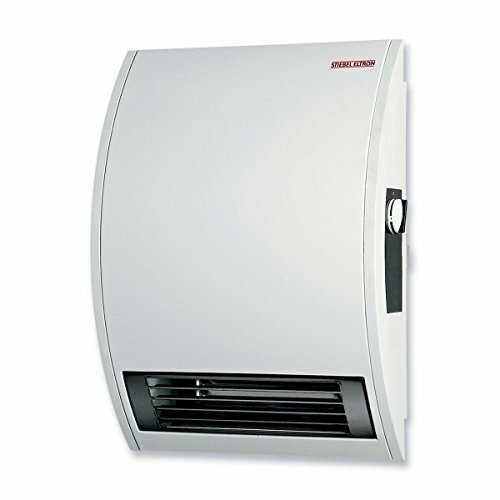 This is not the most attractive wall heater, but if you are installing it in a basement or a workshop area where looks aren’t really a necessity, you will be able to enjoy a low cost and reliable heater that can provide you with years of continuous use. 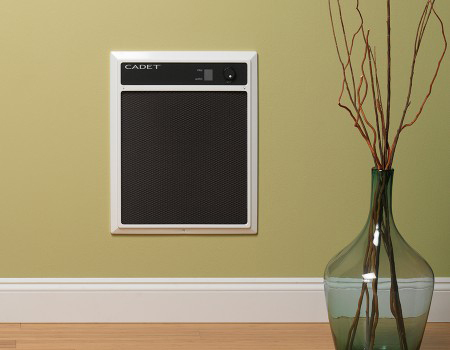 When you are looking for a solution for a larger room or foyer, you should pay attention to the Cadet Com-Pak Large Room Electric Wall Heater. Thanks too fast heating coil elements and efficient fans that can distribute that heat around the room quickly, this is a wall heater that is capable of heating your room in a relatively short amount of time. You can be sure that this heater will last for as long as possible as it has an overheat protection feature integrated into its design. This reduces the risk of fire as well as prolonging the life of the wall heater. This heater is designed in a rectangular shape but it does not feature any sharp edges all corners. It’s also has a smooth and long-lasting finish. You can choose from the model that has a built-in thermostat, or you can choose to add your own thermostat and choose the model that does not come with one. As this is such a reliable and durable heater, you can be sure that’s it will last you for many years. When you purchase this heater, you will receive a two-year manufacturers warranty from the date of purchase. It is easy to install and is ETL listed to UL standards. Buying an electric wall heater does not need to be a complicated mission. There are plenty out there and as long as you’re aware of all the points that you’ll need to consider before making your purchase, there’s no reason why you should have any trouble in finding the best electric wall heater for your needs. This helpful buying guide will give you some great advice on how to pick the right model for you. When you buy your electric wall heater, there is no doubt that you’ll be thinking about the energy that you’ll be saving when you have it installed in your home. It is true that electric wall heaters can be very efficient and effective when it comes to lowering your energy bills, but why is this? Most homes have a central heating system in place. This central heating system relies on a network of heaters located in different zones around the home and when the system is up and running, all of the heaters work together to warm the home. If you want your entire home to be nice and warm, then this will probably be just fine for you, but there will be times where it will be wasteful to have the entire system running. When you wake up in the morning and you’re getting ready for work or school, for example, you will find that you only need a heater to be on in the room that you’re in. Having the entire system on would be very wasteful when it comes to energy. In this case, an electric wall heater would be installed in your bathroom for example. The heater will warm up the room quickly so that you’ll be comfortable but it will only use as much electricity as it needs. You can also set a thermostat to ensure that it only heats up to the temperature that you need. You will certainly save money by using your wall heater as supplemental heating as long as you turn off your central heating whilst you are using it. 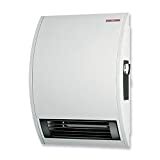 You should also ensure that you purchase a wall heater that is powerful enough for your room. Measure the room first before you buy and make sure that the heater is capable of heating it sufficiently. If your heater is too weak for the room size, it will be a false economy, as it will not heat the room effectively. When you purchase your electric wall heater, you may find that you have a very tight budget, or you may have a larger budget if you are lucky. You don’t need to worry about having a low budget, however. There are electric wall heaters out there that start at around $50 and they can go up to $300 and higher for more advanced ones. The cost of the heater will depend on a lot of things including the manufacturer, quality of the parts and the finish of the heater itself. You should remember that the heaters that cost more are likely to have more features, not only things like controls and easy to clean units, but they will also have more powerful fans and better-designed fins and heating elements. Thankfully, you won’t have to spend a fortune on your wall heater, and as you can install many of them yourself as long as you are confident enough to do so, you will find that having a wall heater in your home won’t necessarily be an expensive development. The running cost of your wall heater will depend greatly on the efficiency of the heating element, the power of the heater and the method that the heater uses to heat up. 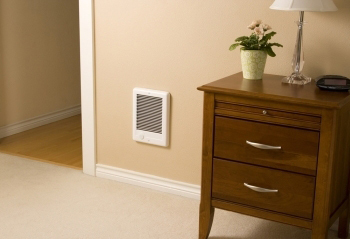 Heaters that have a fan integrated into their design will heat up your room more quickly. When they are on, they will kick out a lot of heat and you will be able to enjoy the benefits of the warmth in just a couple of minutes. They can cost a little more to keep running for longer lengths of time, however. If you purchase a wall heater that relies on convection currents, however, you will find that it takes longer for the heater to warm the room up, but the room will usually stay warmer for longer after you have turned off the heater. The best kind of wall heater really depends on how much time you want to spend in the room whilst the heater is on. The higher the power of the heater, the more expensive it will be to run. If you have a heater that is too powerful for the room that it is installed in, you may find that you end up wasting a lot of electricity because the room could end up getting too hot too quickly. On the other hand, if the heater is not large enough for the room, it could be running forever and will never heat the room enough, which would be a complete waste of energy. Speaking of power, just how powerful should your wall heater be? If you have a larger room, you should look at heaters that offer 2kw or more. This will usually ensure that there is enough heat produced to keep your room warm. If your room is quite small, you will not need more than 1.5 – 2kw of power. The power quoted by the manufacturer, however, may not necessarily be true to the actual heat that is produced by the heater. Particularly efficient heaters tend to offer around 95-100% efficiency, but there are plenty of others that only run at around 75% efficiency. This means that your heater may actually waste some of the electricity that is drawn from your power supply. Less power being converted to heat means less heat in your room. For this reason, you should try to find out how efficient the heating element is to make sure that you’re getting a good deal. When you buy any product for your home, it is often important that it can fit in with your existing décor. If you want to install your new wall heater into your bathroom or another room that is frequently used in your household then you may want to look at some of the more good looking wall heaters. These days, you can get ones that come with polished chrome grilles and contemporary looking designs to ensure that they’ll fit in with more modern décor. If you only need to heat a basement or a workshop where it doesn’t matter about appearance, you will probably just focus more on the other qualities of the heater without worrying how it looks. The better-looking heaters aren’t necessarily the better performing heaters, so you should still ensure that the heater will be sufficient for your home before you buy it. If appearance doesn’t matter so much, look out for the heaters that are made with heavy-duty grades of steel so that you can be sure that they will last you for many years to come. In particularly cold rooms such as a basement or a garage style workshop, it is particularly important that your wall heater can withstand prolonged use. Never obstruct your wall-mounted heater in any way. Before you have the heater installed, you should choose a location where you are not going to bed go install a cupboard or and another price of furniture. When you are having the heater installed, you should ensure that it would be safe for the area of your home that you intend to use it. If you want to use the heater in humid or damp areas of your home such as in the bathroom, you should ensure that the heater is designed for safe use in these areas. It can be dangerous for electrical appliances to be used in humid atmospheres if they are not sufficiently waterproof. The first thing that you will need to do is find a suitable location for your wall heater to go. The best place to choose is somewhere that is central to the room so that you’ll get the best possible heat distribution. You’ll also need to ensure that you’ll be able to feed an electric cable through the wall to power the heater with. Avoid locations like behind doors or somewhere that you will be likely to place a cupboard. Mark the position of the wall heater. You should try to balance the weight of the heater across the stud if you have a studded wall. Turn off the power supply for the circuit that you will be working on. You should cut the drywall with a drywall saw. Create a hole that is large enough for the heater. You should be aware of any pipework or electrical wires that may be behind the drywall and take care not to cut into any. A new electrical circuit will need to be installed for your new heater as wall heaters need to be on a circuit of their own. You should have an electrician install the new circuit once you have cut the hole in the drywall and be sure to feed the electrical supply cable through the wall to where the heater will be. You should strip the sheathing from the end of the wire with a cable or wire stripper. This will allow the wiring to make contact with the connectors in the heater. Use a high-quality multi-purpose tool so that you don’t damage the wire during this process. You will then be able to feed the cable through the mounting box that comes with the heater. You should take care to fold the excess cable behind the mounting box so that it is not exposed and then you can secure the box to the wall. You can push the cable back into the cavity in the wall if there is enough room. You should use a power drill to ensure that the mounting box is secured to the wall. The job of the mounting box is to prevent the wall from becoming damaged due to heat. Once the mounting box is in place, you will be able to attach the heater. This must line up with everything so you should take your time. Once in place, you will be able to clip the cover plate onto the heater. If everything is connected properly, you can now turn the electricity supply back on and test that the heater is working properly. How Does An Electric Wall Heater Work? The electric wall heater is made with a resistor, which is encased in the heater. The resistor’s purpose is to take electricity and convert it into heat. Inside the heater, there are also fins. The resistor conducts the heat onto the fins and it can then be spread evenly throughout the heater. There are two main kinds of wall heaters, which are those that come with a fan and those that don’t. Heaters with a fan draw in air from the atmosphere around the heater spread the air over the fins so that it warms up and the warmed air is then blown out of the heater, warming up the room. Heaters that don’t have a fan rely on convection in order to distribute heat around the home. 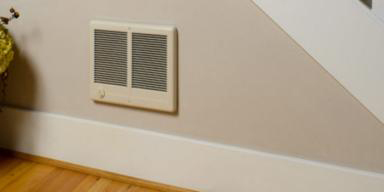 The air around the heater is warmed up and then rises, creating a current of warm air that naturally circulates around the room without the need for a fan. These kinds of heaters take longer to heat the room up but are generally cheaper to run. 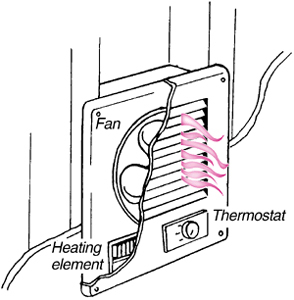 A thermostat or temperature control is attached to the wall heater so that the user can control the heat. This makes them the best-selling space heating devices to have in a small room where you don’t need to warm the entire house. They are a cheaper alternative to having a complete central heating system running when it is not necessary. Wall mounted electric heaters do not have many parts in them, but there are just enough parts for something to go wrong from time to time. If you know the possible cause of the problem, then it is likely that you may even be able to repair it. A heater that simply does not heat up is one of the most commonly occurring problems with wall heaters. In addition to this, the thermostat may stop working so that the heat is not regulated. Usually, an on/off switch that has stopped working properly or a faulty thermostat sensor causes these most commonly occurring problems with wall heaters. The heating element could also burn out causing it to stop heating up. As many of these parts are in the main internal area of the wall heater, you will need to remove the grille before you begin and ensure that the electricity supply is turned off in order to work on the internal area of the heater. If you have turned the heater on, but it seems unresponsive, the first thing that you should do is check that power is, in fact, getting to the heater. You should check the main fuse box in your home as well as the fuse near the heater to ensure that none of those have become damaged. You should also ensure that the electricity supply to the heater is actually turned on. If the heater is not heating up sufficiently, but it is still working, you should check the element to make sure that it is getting hot enough. Look for any debris that may be clogging any of the fins on the element. You may need to replace the element if it looks as though it is not performing as it should do. Another reason why heat may not be filling your room as it should is if the fan has stopped working. You should listen to the heater before taking it apart to see if you can hear the fan moving. 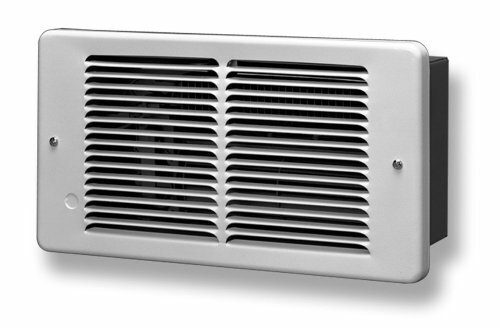 If you can’t or if the heater has a very quiet fan, you may need to take the grille off to see visually if the fan is working. You should be careful when doing this, as it can be dangerous. If you are in doubt about why your heater isn’t working properly or if you don’t know how to perform the repair, the best thing to do is to contact an electrician who will be able to complete the repair. You may also be interested in Kerosene Heater Reviews. 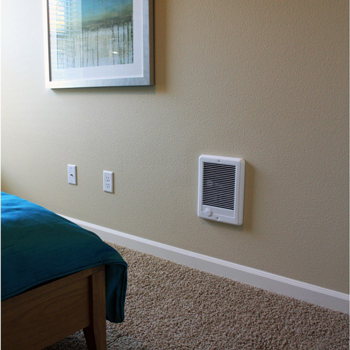 Electric wall heaters are a great choice if you want a permanent space heater in your home. Remember that these heaters are designed for single room use only and are not intended to provide heat for the entire home. The best electric wall heater will provide you with all the features that you need as well as being able to heat the size of the room that it’s been installed in. Ensure that the heater is installed safely so that you can enjoy maximum peace of mind when using the heater. If you feel confident enough, you could perform the installation for yourself using the instructions that are provided with the heater. As you can see from this buying guide and our electric wall heater reviews, you can save money and energy by using wall heaters as supplemental heating in your home. You will have found much more reasons why these heaters are such popular choices for both residential and commercial use.